RICHMOND HILL, ON, Aug. 31, 2015 /CNW/ – The Mazda lineup received an unprecedented vote of confidence from The Car Guide (Le Guide de l’Auto), a prominent automobile publication in Quebec, as both Car of the Year and SUV of the Year were awarded to Mazda vehicles; the first time ever that a single manufacturer has taken home both of these awards given by The Car Guide in their annual Best Buys. The award for Best New Car of the Year was given to the best-selling roadster of all time, the all-new 2016 Mazda MX-5, while the title of Best New SUV of the Year now belongs to the 2016 Mazda CX-3, the fun, go-anywhere crossover that’s perfect for any situation. Both vehicles also received Best Buy awards for their respective segments, which are Convertibles and Roadsters under $50,000, and Sub-compact SUVs. The Car Guide followed up with a total of three more Best Buy segment wins, which include Compact Cars for the Mazda3, Mid-size Sedans for the Mazda6, and Compact SUVs under $40,000 for the CX-5. This impressive total of seven awards is the most recognition Mazda has ever received from The Car Guide’s annual Best Buy awards, and serves as a bright reminder that Mazda creates vehicles that perfect every detail, from beautiful design, to finely crafted interiors, and a fun-to-drive nature that makes every drive an opportunity to enjoy the ride. The Car Guide’s annual Best Buy awards are presented to vehicles in twenty-eight different categories that span the entire automotive spectrum; everything from city cars, to sports cars, electric vehicles, sub-compact SUVs, and full-size pick-up trucks. Winners are chosen based on scoring in six different categories: fuel economy, reliability, safety, infotainment, driving experience, and overall assessment. The MX-5 roadster is all-new for 2016 and brings the latest in Mazda design and technology to the table for the fourth iteration of the iconic roadster that’s brought smiles to the faces of nearly a million owners around the world since its inception over 25 years ago. Having gone on a weight-saving regiment, the new 2016 MX-5 is lighter and smaller than the previous generation, while maintaining the famous handling characteristics and open-top, wind in your hair satisfaction that it is known for. Featuring KODO – Soul of Motion design characteristics, the full suite of SKYACTIV Technology, and the Mazda Connect infotainment system, this bare-bones roadster is ready to face a new generation of tech-savvy owners that still want to connect with the road in a way no other roadster can. The first-ever Mazda CX-3 is a new take on Mazda’s family design, and a brand-new member to the popular CX line of crossovers. This subcompact SUV brings new meaning to the ‘Sport’ in ‘Sport Utility Vehicle’, offering driving dynamics unmatched by any rivals along with Mazda’s new predictive i-ACTIV all-wheel drive system, which reacts to weather and road surface changes even before you realize it needs to. 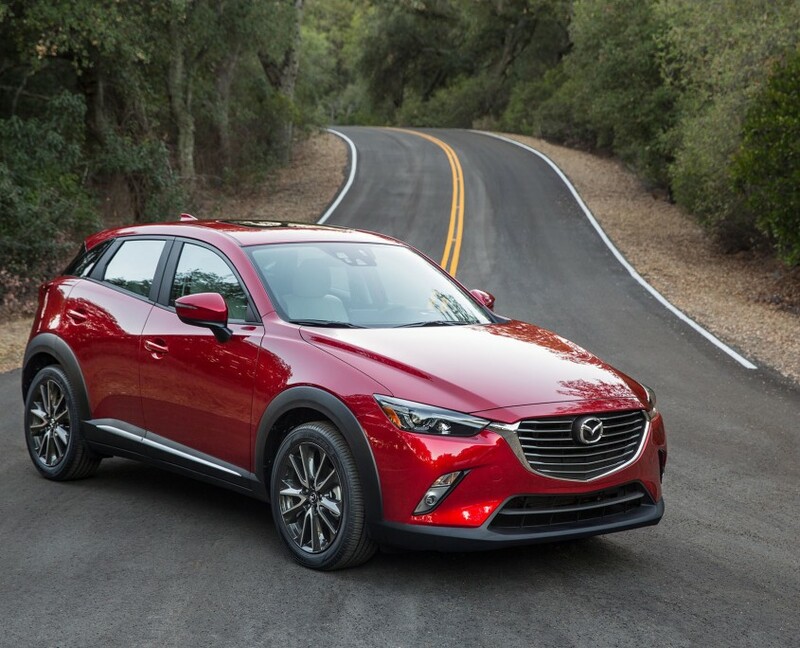 Offering go-anywhere utility, best-in-class fuel efficiency, and Mazda’s full suite of SKYACTIV Technology, the CX-3 is the perfect choice for consumers who don’t just want to get outdoors, but also enjoy every part of the journey. Mazda Canada Inc. is responsible for the sales and marketing, customer service and parts support of Mazda vehicles in Canada. Headquartered in Richmond Hill, Ontario, Mazda Canada has a nationwide network of 165 dealerships.